Tasty, satisfying, guilt free snacks. As an active and busy mother of three, I needed quick and healthy snacks for my family to eat when on the go. After my work outs, during my kids soccer half time, and for my husband’s 3:00pm crash at work, I wanted to create something satisfying, tasty, that curbs cravings between meals. I was tired of the processed, high sugar snacks on the market with ingredients that were unrecognizable. 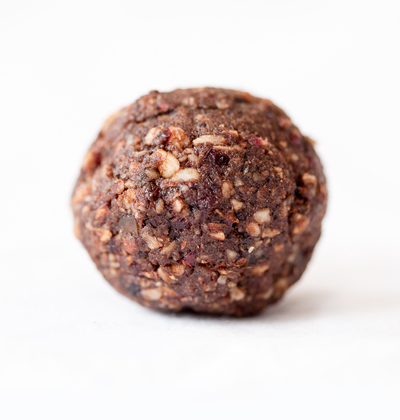 Bonbites gets back to raw and natural ingredients comprised of nutritious combinations to provide you and your family with energizing and delicious snacks. and it’s hard to love only one. Products not made in a nut free environment. Rich with anti-oxidants. Simple but satisfying. A well-balanced snack. Cashews, almonds, dates, dried blueberries, lemon, vanilla, sea salt. Free of dairy, wheat, and preservatives. 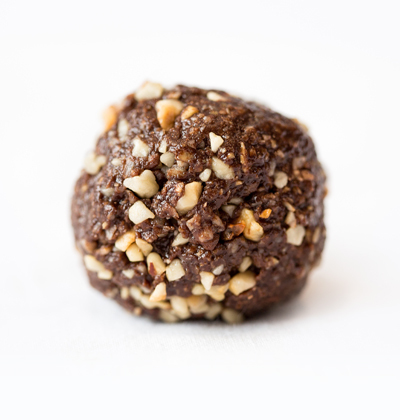 For those who enjoy chocolate and nut combinations, these natural almond butter based balls are protein rich and delicious. Oats, coconut, almond butter, flax, dark chocolate, honey, cashews. Free of dairy and preservatives. 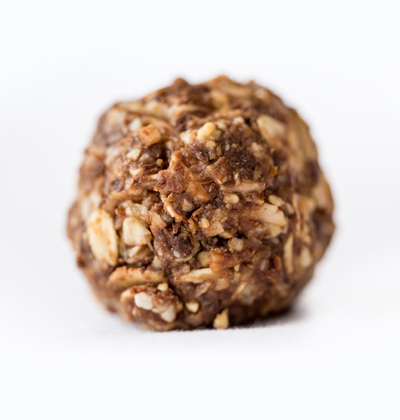 For those who enjoy chocolate and nut combinations, these natural peanut butter based balls are protein rich and delicious. Oats, coconut, peanut butter, flax, dark chocolate, honey, cashews. Free of dairy and preservatives. 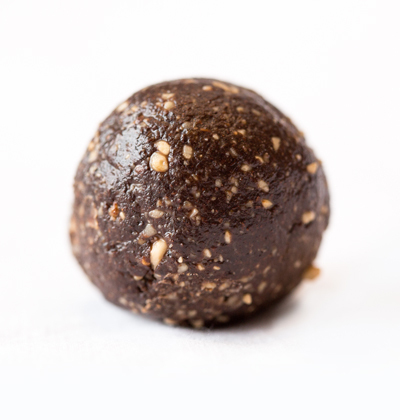 Rich in protein, our choco soy balls are delicous and 100% nut-free. Which also makes them great for kids lunch boxes. Oats, coconut, soy, flax, dark chocolate, honey. Oats, coconut, soy, flax, dark chocolate, honey. Free of dairy and preservatives. A perfect combination of chocolate and mint. A refreshing tasting, healthy dessert alternative to satisfy the sweet tooth. Dates, almonds, cashews, dark chocolate, cocoa, flax, peppermint extract. Free of dairy, wheat, and preservatives. 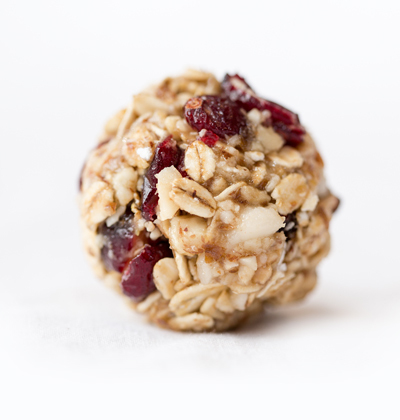 Packed with high protein goji berries, these are great for post work outs. Dense with flavour and very filling. Oats, dates, cranberries, goji berries, honey, almonds, cashews, flax, coconut. Free of dairy and preservatives. 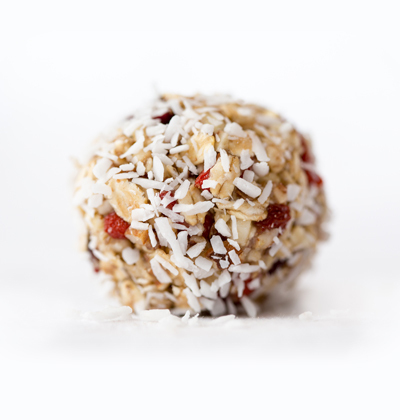 For the sweet tooth, we have a coconut version of our Cran Goji balls. 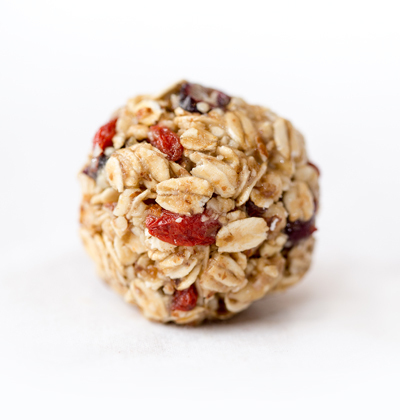 Packed with high protein goji berries, these are great for post work outs. Dense with flavour and very filling. Our most popular flavour, as it's packed with 4 kinds of nuts to provide energy and satisfy cravings. It’s the perfect mid morning or mid afternoon snack. 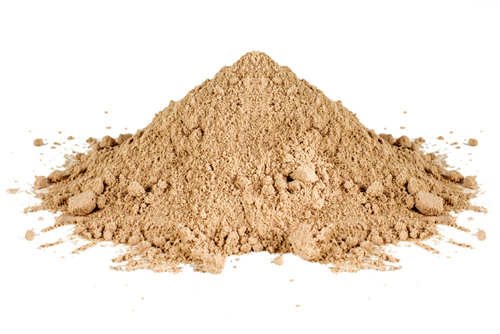 Oats, dates, cranberries, honey, almonds, macademia nuts, cashews, brazilian nuts, flax. Free of dairy and preservatives. 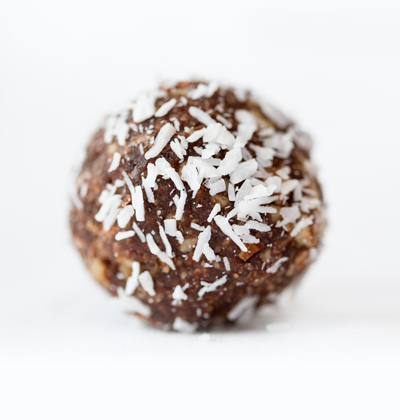 For the sweet tooth, we have a coconut version of our cran-nut balls, packed with 4 kinds of nuts to provide energy and satisfy cravings. It’s the perfect mid morning or mid afternoon snack. Oats, dates, cranberries, honey, almonds, cashews, macademia nuts, brazilian nuts, flax, coconut. Free of dairy and preservatives. 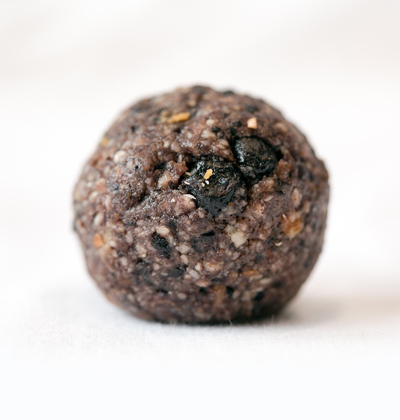 This decadent, rich tasting energy ball consists of dark chocolate, and is the perfect healthy dessert. Great with tea or coffee! Oats, dates, dark chocolate, honey, cocoa, cinnamon, coconut, flax. Free of dairy and preservatives. Great for coffee lovers. Kick off breakfast with the rich taste of espresso, hazelnuts and cocoa in every bite. Dates, espresso, hazelnuts, honey, dark chocolate, cocoa, salt. Free of dairy, wheat, and preservatives. A favourite for Nutella lovers. 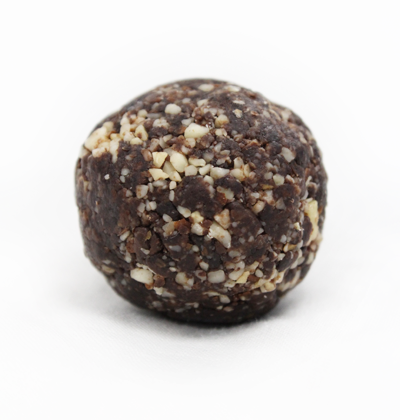 Hazelnut and cocoa combination that is sweet and guilt free! Oats, cocoa, honey, flax, hazelnuts, coconut, coconut oil. Free of dairy and preservatives. 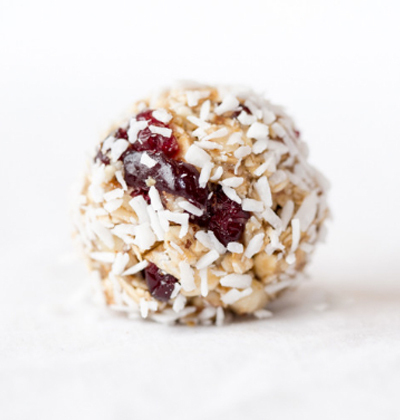 Sweet but not sinful, a berry and nut combination rich with anti-oxidants. For the athlete on the go. Dates, almonds, coconut, cranberries, blueberries, cocoa, salt, almond milk, vanilla. Free of dairy, wheat, and preservatives. why not mix and match your favorites? 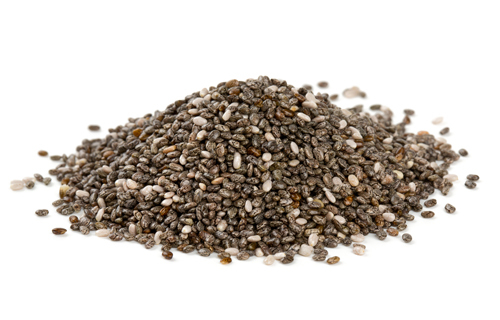 All of our products can be ordered with protein powder or chia seeds. Gluten free oats can also be used, at your request. Bonbites are our new obsession! 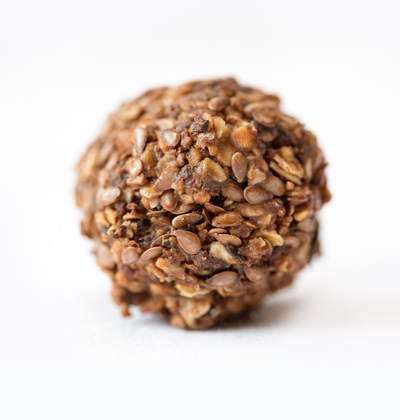 We are so thrilled to be carrying them and think they make for a great snack alongside our cold pressed juices. Bonbite Energy Balls truly delicious with every bite you take! They are healthy, nutritious, and full of flavour. I take them to work and grab one when I’m feeling at a low point in the afternoon. My entire family loves them. They are the best snack for on the go and for kids…they are amazing for work. I eat 6-8 over the 6 hour work day and they are so filling! These balls have become a staple in my diet. They are healthy and delicious and most importantly filling! I absolutely love them. We love Bonbites! They have quickly become a go to snack of choice in our home. 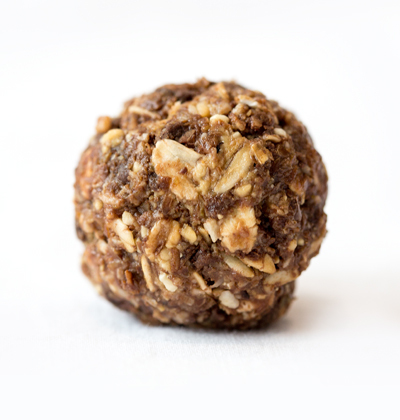 We feel much better that our kids are eating a homemade, healthy and nutritious snack rather than processed box junk. I love popping a Bonbite just before one of my high-energy shows or to curb mid-afternoon sweet cravings in the studio. Blueberry is my favourite! 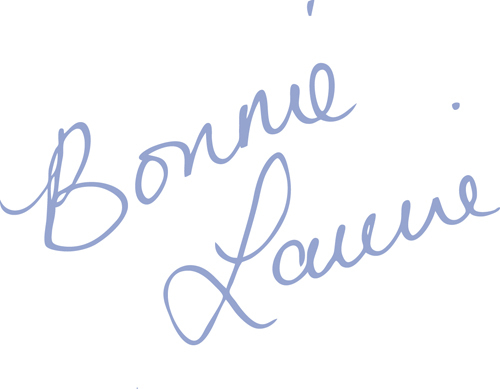 Bonnie Laurie will be on site at the following locations sampling her Bonbites Energy Balls. Products will also be available for purchase.